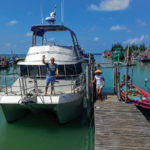 One of the 3 original “Moon Parties”, with Full Moon and Black Moon, that made Koh Phangan a world famous party destination. 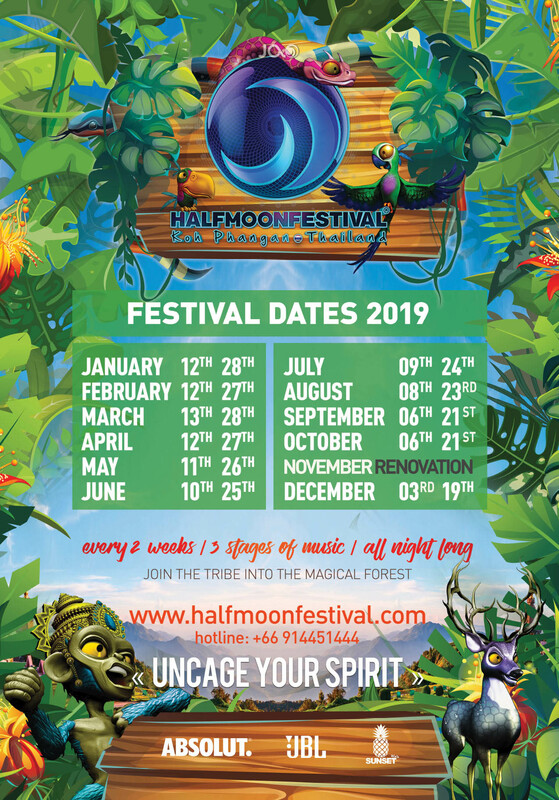 Half Moon Festival takes place every 2 weeks, all year round. Several thousands of participants, from all over the world, come celebrate in the enchanted forest. 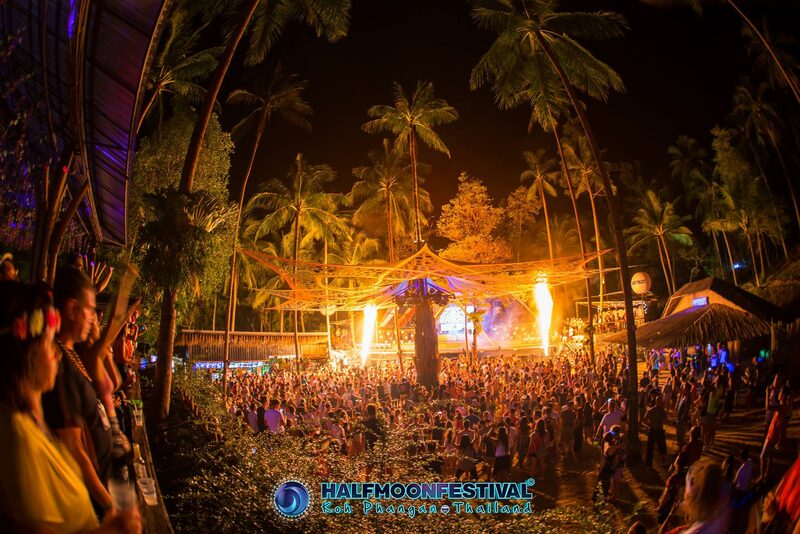 With 3 dance-floors, amazing decorations, shows & entertainers, bars, food stands, shops & UV bodypainting, Half Moon makes you feel like you are in a festival…..in the tropical jungle, on an island in Thailand! 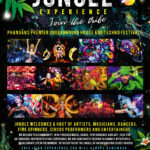 It is an out-of-this-world experience of fun, party, music, arts and energy. Main-Floor: Powerful punchy energy of the Magic Forest. Progressive and Psytrance are major influences behind this floor. Expect UV lights, fluo decorations, fire and other elements of madness. 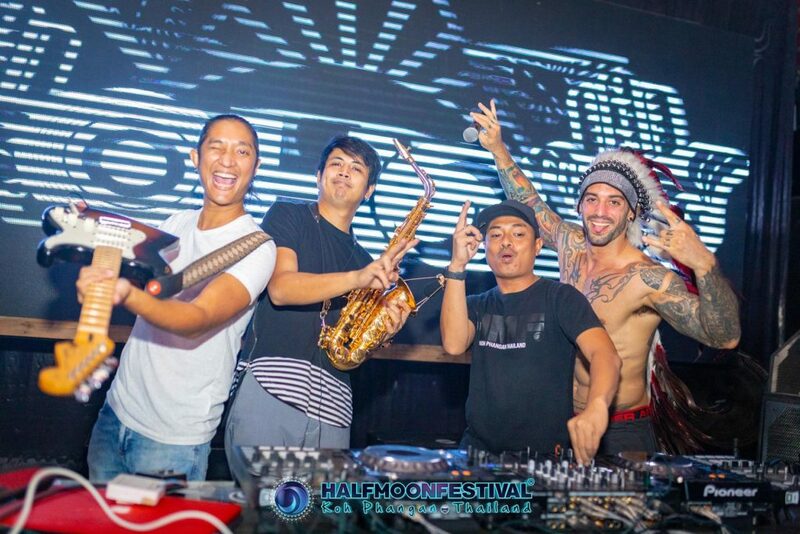 G-Floor: Hip-shaking hand-clapping House & Techno music lovers. Expect live beats and electronic sounds. A more intimate experience, near the river, in the bamboo forest. Cave Floor: Urban vibes, Hip Hop, R&B, Trap. Expect urban underground tunnel style, with UV wall paintings. A concrete jungle in the jungle. The Festival opens at 8pm and closes after sunrise. Guests safety and comfort are key priorities. Accommodation packages available from the festival’s website.